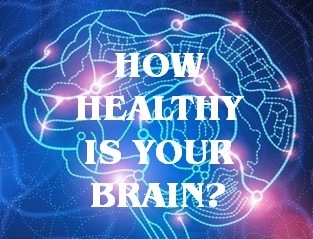 Editor’s Note: This article is part of a series on marijuana (cannabis) use and brain health. The first article reviews medical research on cannabis to control pain and muscle spasms associated with multiple sclerosis (MS). The second article provides an overview of the human endocannabinoid system, and how marijuana use interacts with this system. The fascinating and ever changing intersection between neuroscience, medical research, and public policy regarding the wave of marijuana legalization in the U.S. has prompted us to take a closer look at the current evidence for how marijuana use affects the human central nervous system. In this article, we take a look at how marijuana can affect sleep and sleep quality. 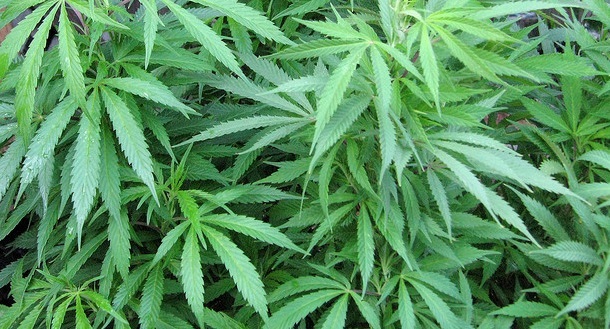 The common sleep-inducing effect of marijuana can help people suffering from sleeping disorders like chronic insomnia. A full sleep cycle encompasses five stages, and is repeated several times during eight hours of sleep. Stages 3 and 4 represent deep, slow-wave states of sleep, where the brain switches off almost completely, and heart rate and breathing decrease considerably. According to several research studies, marijuana has been found to both induce sleep and increase the duration of deep sleep (slow wave sleep) stages. Increasing time in deep sleep can improve the overall quality of sleep in an individual. 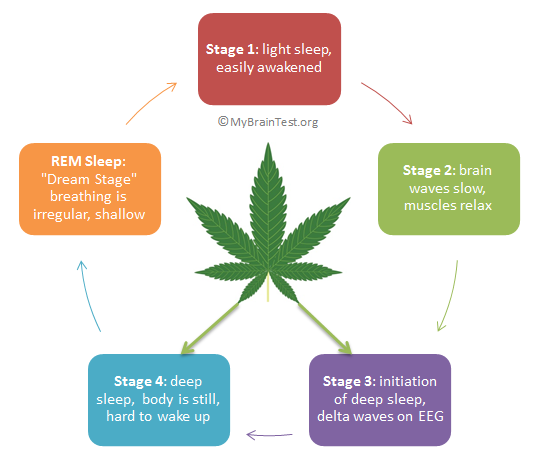 An important note: marijuana can also reduce REM stage sleep (dreaming stage), which accounts for the near dreamless sleep reported by many users. In addition to insomnia, cannabis extracts show promise in treating neurocognitive sleep disorders associated with Parkinson’s disease and Alzheimer’s disease. Marijuana Withdrawal: Sleep Disruption and Relapse Potential? However, there isn’t a risk free ride for many people who use cannabis as a sleep aid. Stopping marijuana use can bring about a rather abrupt rebound in REM sleep duration and intensity, which can produce startling and vivid dreams, along with much reduced time spent in deep sleep stages. This “REM rebound” effect is in addition to other markers of marijuana withdrawal including heightened anxiety, sweating, chills, flu-like symptoms, and loss of appetite. The disruptive sleep cycle “rebalancing” process after quitting marijuana can last from a few days to several weeks, and is a common reason for relapsing. The unique neurobiology of an individual will influence the intensity and duration of any withdrawal symptoms. Cannabidiol (CBD): not psychoactive, with promising anti-inflammatory, analgesic (pain relief), and anti-anxiety properties. At this point, the research and medical communities as a whole don’t know enough about the individual effects of THC, CBN, and CBD to accurately predict the right “dosage” of cannabis for sleep disorders like insomnia. More quality research needs to be done on the relative benefit/risk of cannabis as a sleep aid, with particular attention paid to the relative weighting of THC, CBN, and CBD that would provide the best quality sleep, with the least (or no) side effects.